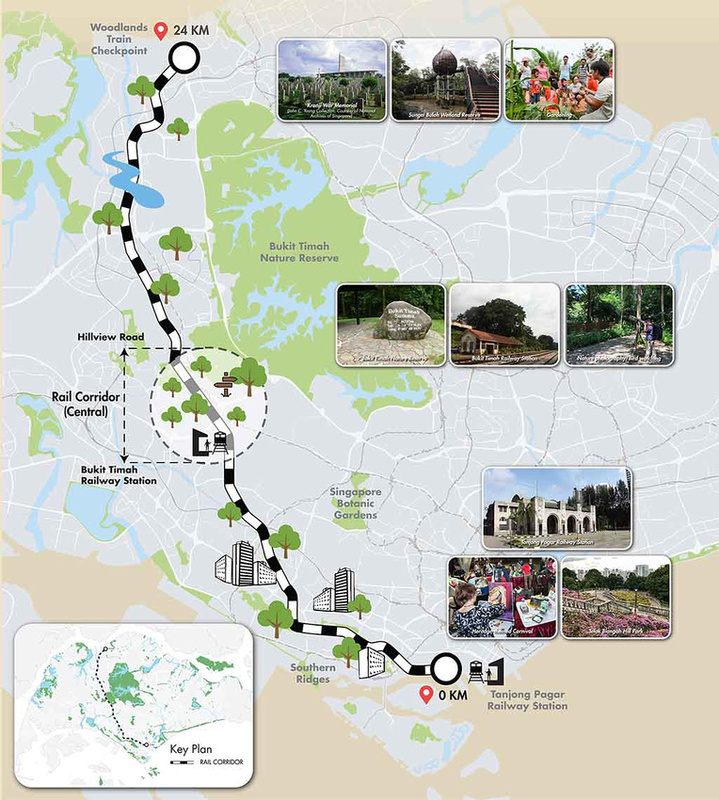 I’m a big fan of urban walking, and Singapore – being the urban planning masters that they are – are planning to create one of the world’s greatest walks along a former railway. 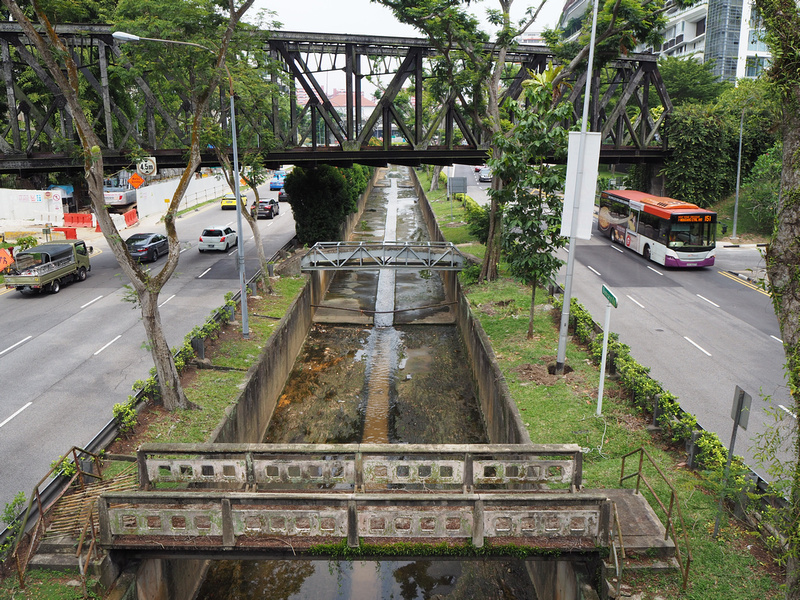 Singapore and Kuala Lumpur were once connected by a direct railway, which ran from Keppel Road near Downtown Singapore to the Kuala Lumpur Station. I took this train from Singapore in 2009, and it was a pleasant alternative to taking the bus. 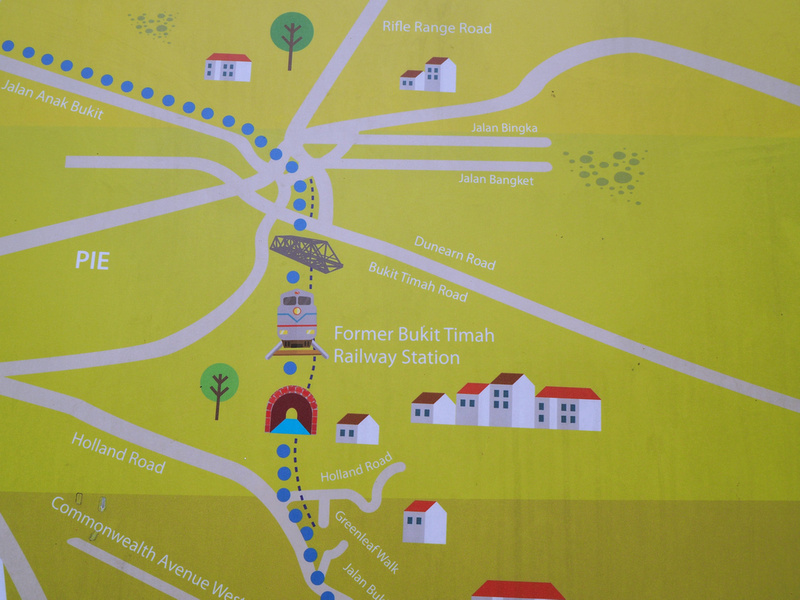 The railway was closed in 2011, and the service was replaced with a cross-bridge shuttle service at Woodlands Train Checkpoint near the border. 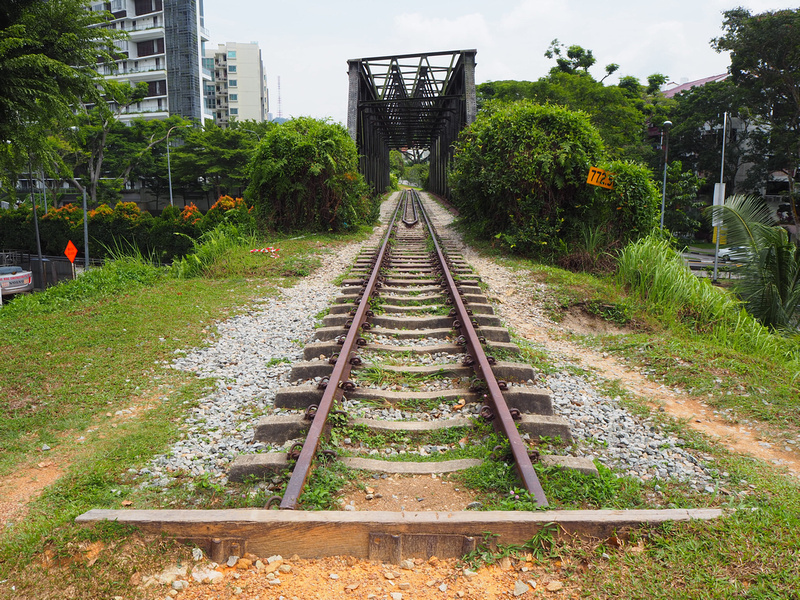 While there once was a railway in Singapore, it was never Singapore’s railway. 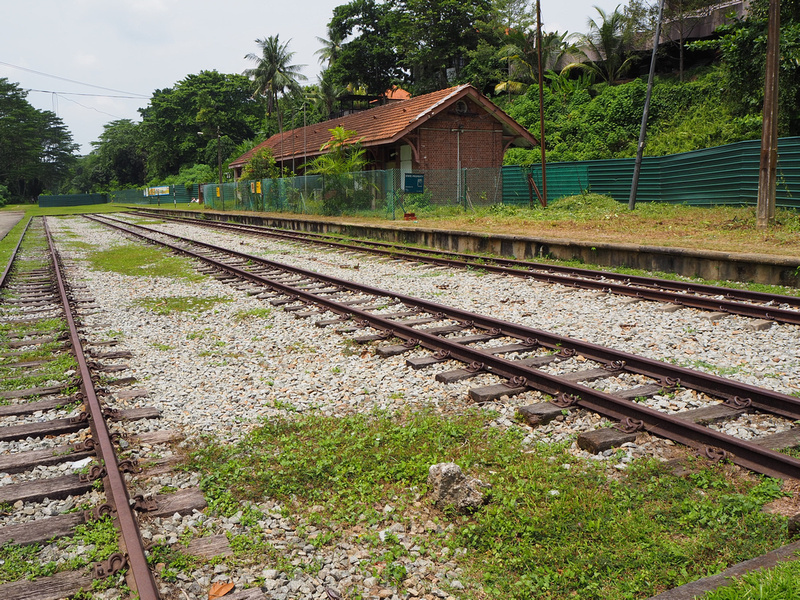 The land and tracks were owned by Malaysian Railways KTM, and Malaysia had partial sovereignty over this land (which was a sticking point for Singapore). 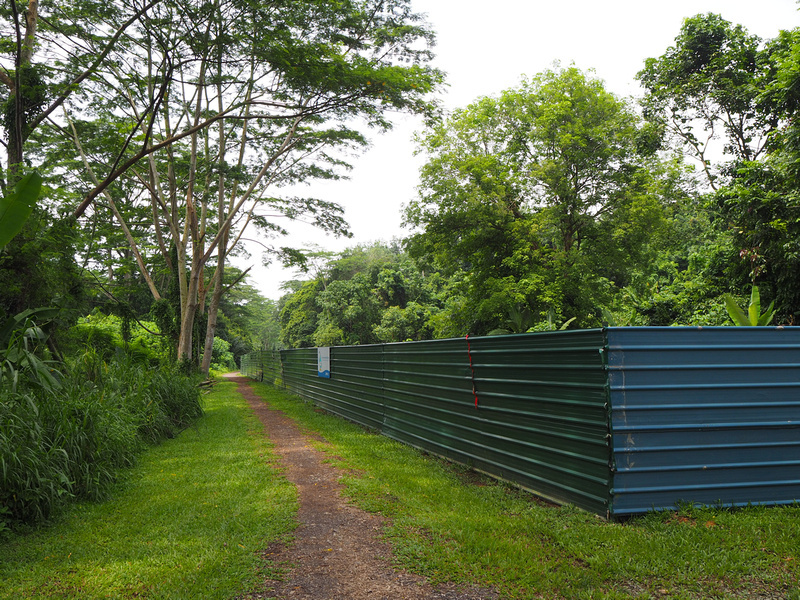 After a land-swap deal the railway reserve has since returned as Singapore land. There is a plan for a new high-speed railway that will connect KL to Singapore, but the terminal station will be in Jurong East. Thus the 24km railway reserve that runs north to south across the country will never again be used as a railway. 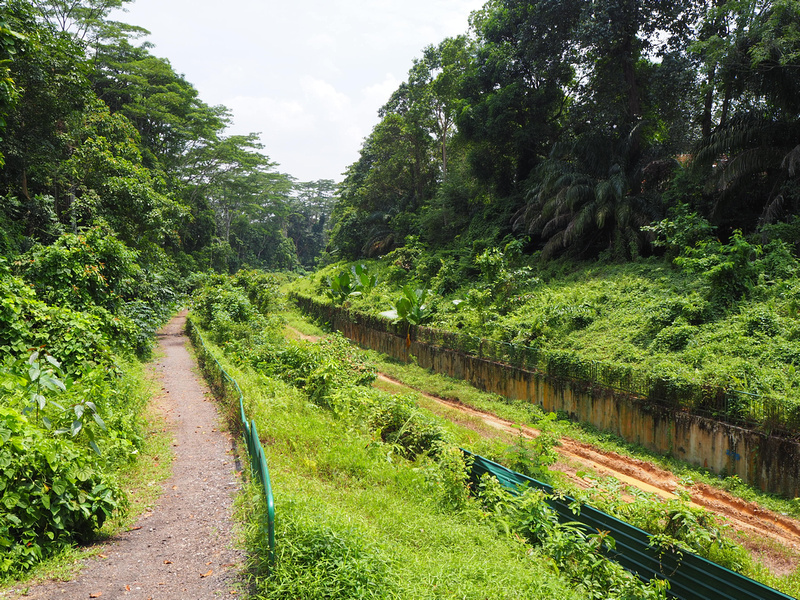 Personally I would have preferred to still have a railway station closer to the city centre, but at least Singapore have made good use of the land, with the rail corridor now being a national park. I’ve flaneured my way around many cities of the world. From Hangzhou to New York, walking is my preferred method of exploring. With such a big walking path in one of the great cities of Asia, I was long overdue to walk this. Plus it also fits in nicely with my Southeast Asia railway project, so it was of double interest to me. At the time of my visit parts of the corridor were closed for infrastructure works, with new water pipes being laid under the path. Information about the path and any future closures can be found at The Green Corridor. I caught the metro to King Albert Park MRT Station and then walked along Bukit Timah Road until I got to the old railway bridge. This is a good place to start if you want to do a short walk and see some interesting relics on the way. The path is marked on Google Maps as a green dotted line called “The Greenway”, so load your map before if you don’t have mobile data. There are some walking maps by the path, though with the construction works they weren’t much use during my visit. Most of the tracks have been removed, but rails have been kept on this bridge as a reminder of what it looked like (plus it’s more Instagrammable). 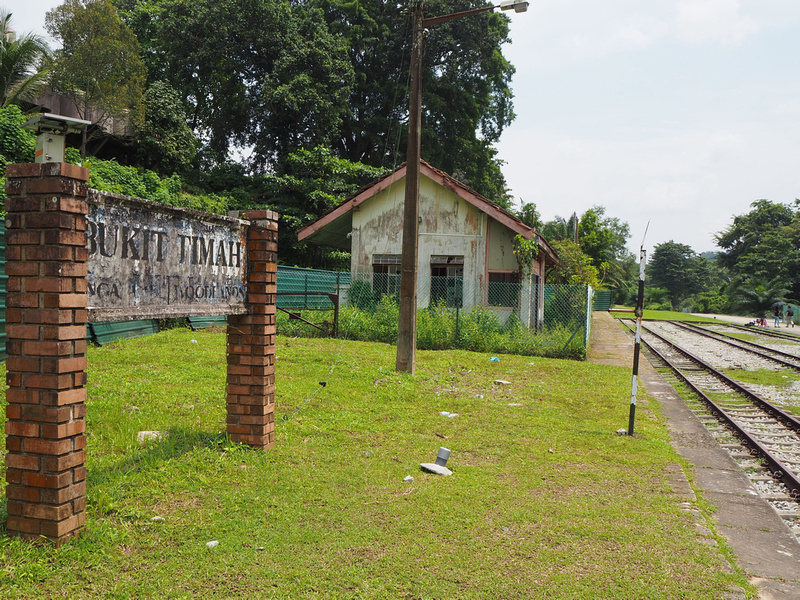 A short walk from Bukit Timah Road Bridge is the old Bukit Timah Station. The station house and platform have been preserved and awaits a future redevelopment. The railway tracks have also been preserved here. It was at this point, midway in the island, that trains could pass each other. During my visit some sections of the path had been closed off completely, while other sections were open but with some construction mess. Walking south of the old station the path descends into a thick forest. When I visit Singapore I spend most of my time in the urban jungle that has been carved and reclaimed from the southern end of the island. I was aware that there are green spaces on the island, but I was surprised to find that there are pockets of actual jungle. From the Bukit Timah Road entrance you should be able to walk south to Holland Village, where you can re-emerge back to civilisation for lunch or a coffee break (at least that’s how I planned it). On the day I went the path was blocked at Holland Road, so I ended up walking along Holland Road to get back to the Holland Village MRT station. 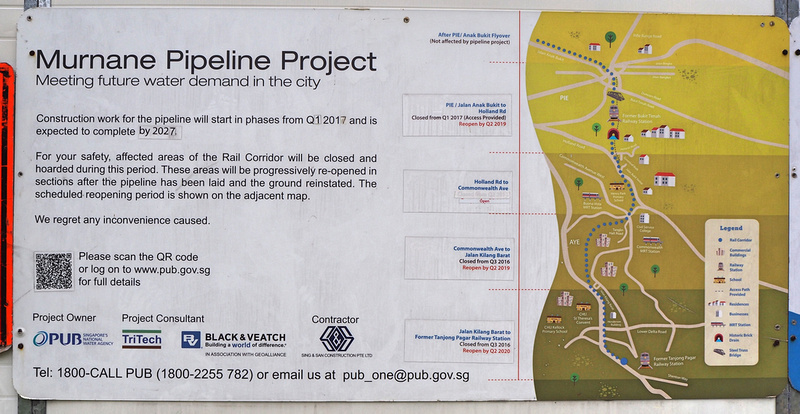 At the very beginning (or very end) of the old railway is the Tanjong Pagar railway station (AKA Keppel Road railway station). The Art Deco building was opened in 1932 and it served as the southern terminus of the railway until its closure in 2011. 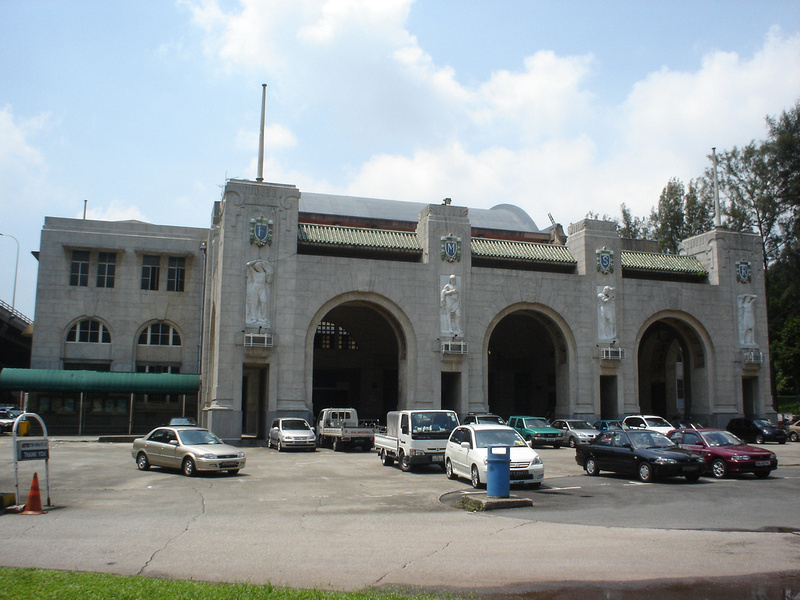 While it won’t be part of the future KL-Singapore high-speed railway, the good news is that the building will return to life as Cantonment station on the new Circle Line in 2025. The heritage-listed building and railway remnants will remain as is, while the metro is underground. Not only will this station find new life as a metro station, but it will also serve as a grand gateway for an ambitious urban redevelopment project. There’s a plan to transform the entire railway corridor into a fully connected walking path with art installations and activity centres, drawing companions to the High Line in New York. A design competition was held and the winning design was “Lines of Life”, by Nikken Sekkei and Tierra Design. The park will eight themed stretches and 10 “activity nodes” spread out along the line. With these new landmarks spread out along the track they would act as a walking target, and you could pick how far you want to walk. For example if there are 10 points of interest at about 2.4 km apart you might walk 5km to the next two, and see more on another day or another visit to the city. Singapore has already proven themselves to be experts in artificial gardens, from the UNESCO World Heritage Botanical Gardens to the futuristic Gardens by the Bay. I’ll be revisiting the walking path in the future to check on its progress. If you still want to travel by train between the two cities here is my guide on how to get from Singapore to Kuala Lumpur by train. And here is the complete guide to Southeast Asia railways. How creative James. I had no idea Singapore was connected to KL via train. Great job turning an unused transportation channel into a resource enjoyed by locals and tourists alike. Great for exercising and enjoying this gem of a region. What a great article for us James. Never knew there was a real jungle in Singapore. We too love walking around discovering places and we will definitely visit that area when we get there. Thanks for this, one to check out on my next visit to Singapore! I really loved the Highline, so it’s great to see a similar concept being put to use in SE Asia. I’ve been to Singapore a few times and have never heard of this! Definitely checking this out next time I’m there! Excellent article thank you. 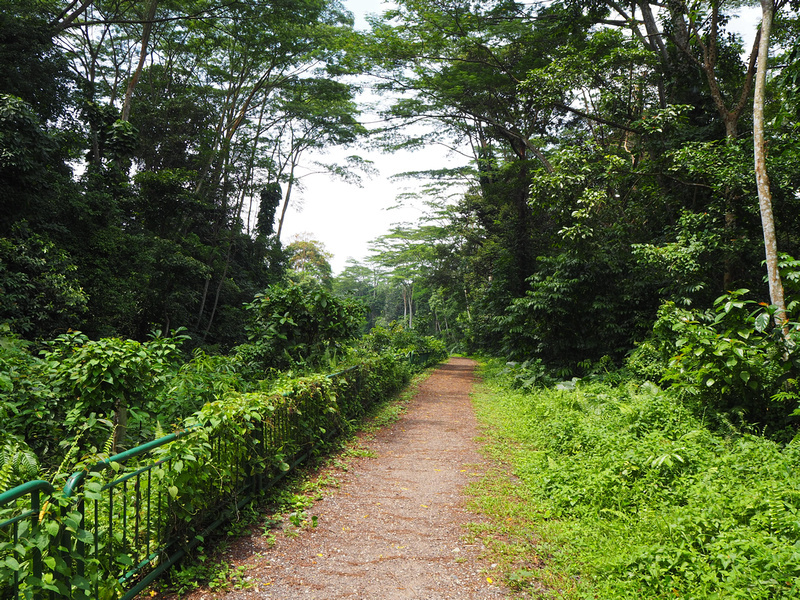 We are currently walking the Greenway, just finished section 4 today to Bukit Timah Railway. We come to Singapore from Perth regularly and plan to finish the entire corridor over the next couple of visits. Really worth it. 1. Commonwealth Ave to Tanjong Pagar still blocked. Enhancement works along Rail Corridor (Central) is starting soon beginning with the Hindhede Area Improvement Works in February 2019. 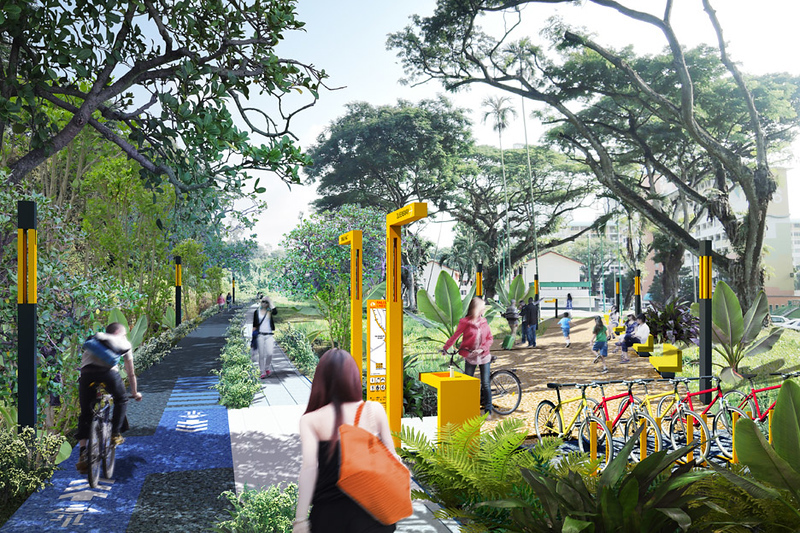 Part of the improvement works will include a new pedestrian underpass along Hindhede Drive, which will allow people to travel safely between Hindhede Walk and Bukit Drive. Please be informed that the following parts of the Rail Corridor will be closed from February 2019 until the first quarter of 2020. 3. From Ten mile junction to Kranji section is awesome too.